One for going fast, the other for going far. 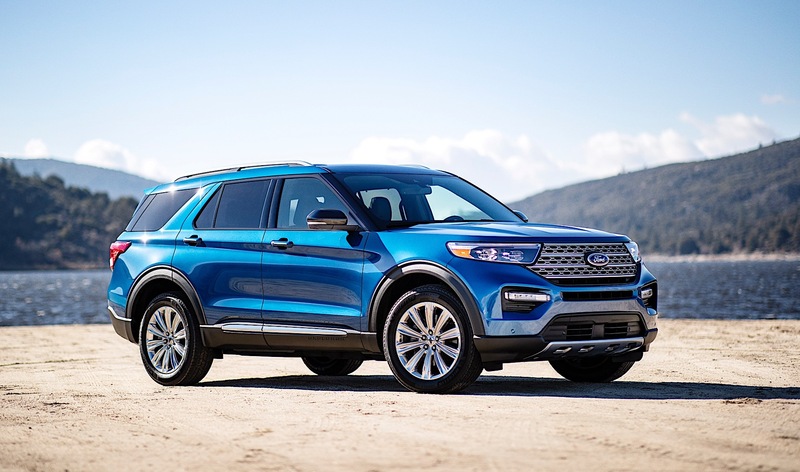 The Drive's chief auto critic Lawrence Ulrich got a sneak peek of the new 2020 Ford Explorer last week before the reveal at Ford Field, but during that reveal, Ford didn't mention the other variants of the Explorer that are coming. Those versions are an all-new, fuel-efficient hybrid version and a high-power, Ford Performance ST version. These diversify the Ford portfolio even more. The electrified version is powered by a 3.3-liter V-6 gasoline engine mated to a new hybrid system. The batteries are a structural member below the middle row seats, meaning drivers don't sacrifice interior space—or the third-row—for driving the hybrid. 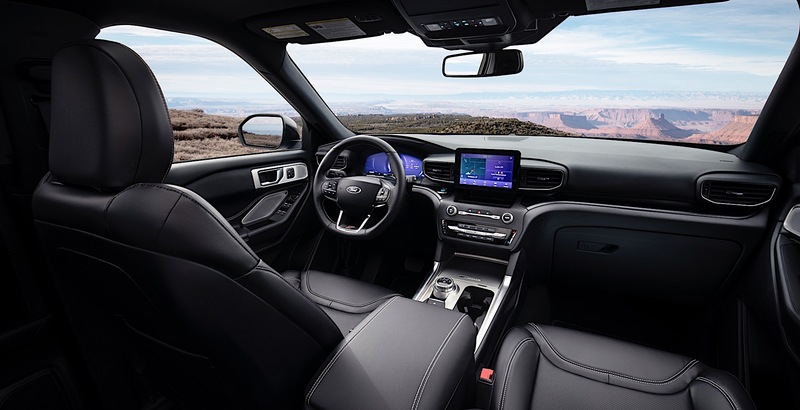 The system makes 318 horsepower, and Ford anticipates approximately 500 miles between fill-ups, which should be great for road trips with the family. The hybrid is either rear-wheel drive or all-wheel drive, and power is sent to the wheels by a version of Ford's 10-speed automatic transmission. Unlike many hybrids out there, Ford has opted for a traditional gearbox instead of a continuously variable transmission. Fuel economy numbers are still pending final verification, but we expect them to be solid for a vehicle of this size. The ST version follows in the steps of the Edge ST, and is the second SUV from Ford to have a Ford Performance badge on it. 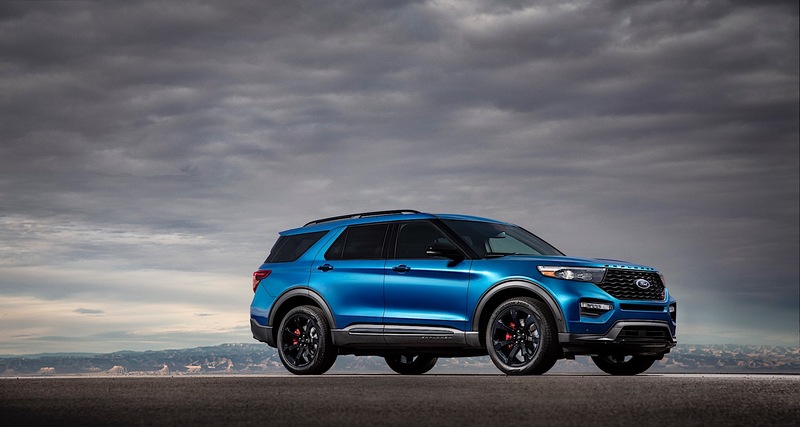 To wear that badge, the Explorer ST has to meet certain performance metrics and is worked on by the same folks who developed the Ford GT supercar and the Baja-blasting Raptor. A 3.0-liter EcoBoost V-6 powers the ST, which comes with all-wheel drive and a performance-tuned version of the 10-speed. Ford is projecting output figures of 400 horsepower and 415 pound-feet of torque. A top track speed of 143 miles per hour is also expected. The variable drive modes include a Sport option and are visually represented on the standard 12.1-inch digital cluster. The 8-inch infotainment screen is standard, but if you opt for the Bang & Olufsen stereo you get the new 10.1-inch screen. There are visual changes both inside and out for the ST, including a black mesh grille insert, liftgate applique, lower bodyside details, roof-rack side rails, and skid plate elements. There are varying levels of high-performance brakes offered, depending on the wheels and tires you spring for. 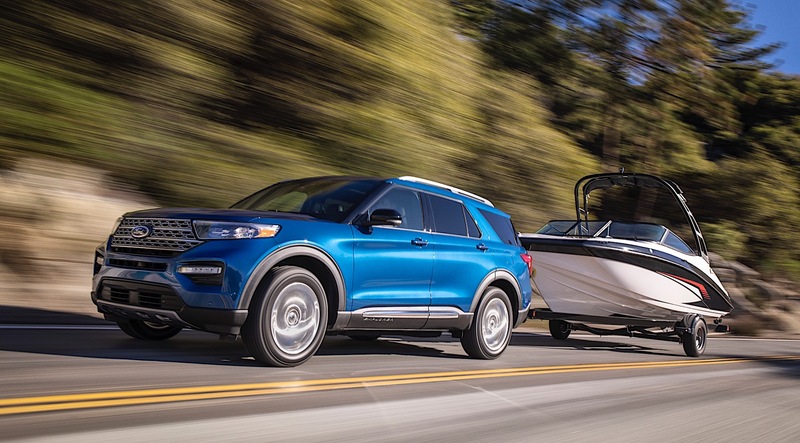 Pricing is not yet available on either the hybrid or ST versions of the 2020 Ford Explorer. Expect to see these models on showrooms with the new Explorer later this year. Modified Edge ST provides production company performance needed for high-speed moving shots in television and movies.